Sichuan Province, the home town of Panda, is located in China's southwestern hinterland. The ancient south silk road and tea-horse trail started from Chengdu, the capital of Sichuan. Silk, tea and salt of Sichuan were exported along these ways to South Asia. Gongga Shan, Siguniang Shan and other mountains rise up in West Sichuan. Huanghe and Changjiang flow through the snow mountains and grasslands in West Sichuan. Follow us to discover Sichuan! Our team offers: culture and adventure tour, trekking and self drive in Sichuan and other regions in Southwest China. Its nature, minorities, Buddhism, Daoism, Sichuan cuisine, Sichuan opera, brocade, ruins of Sanxingdui and Jinsha must be unforgettable. Sichuan, known as the land of abundance, possessing numerous rivers and lakes, beautiful scenery and rich vegetation, spectacular mountains, is the preferred paradise of courageous hikers. Road, air, and railway transfers connect Sichuan with Tibet, Yunnan, Guizhou, Qinghai, Gansu, and Chongqing, etc. Combine China highlights - Beijing, Xi'an, Guilin, Shanghai - with Sichuan classics harmoniously. 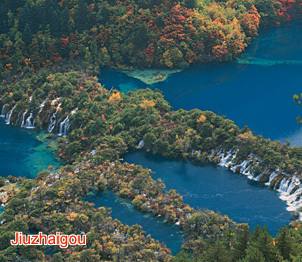 Certainly, natural wonders, Jiuzhaigou and Huanglong, should be explored together with other Chinese natural wonders, e.g. Zhangjiajie, Huangshan, the Three Gorges, etc., to appreciate the disparate Chinese ink landscapes. 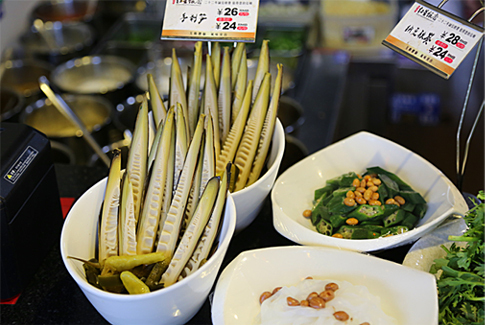 Sichuan possessing Chinese largest Medicinal Herb Base, Sichuan dishes being one of the four most famous dishes in China, which make Sichuan TCM and culinary tours more characteristically essential! Kungfu of Emei Sect and Qingcheng Sect are hardly seized by the world. Sichuan tea and wine are widely disseminated at home and abroad. Delicate ancient towns and primitive simplicity old architectures draw out the elegant cheerful Sichuan life. 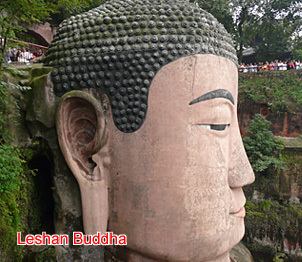 As is well-known, Sichuan classics are Giant Pandas, Jiuzhaigou and Huanglong, Leshan Giant Buddha and Mt. Emei, Dujiangyan Irrigation Project and Taoism Mt. Qingcheng, etc. Based on the highlights in different combinations, we present many classic itineraries for different durations. In West China, sparse population, diversiform landscapes, significantly undulating terrains, inhabited ethnic communities, create a fabulous paradise for self drive. As the provincial capital city of Sichuan province, Chengdu possesses more and more international flights. To enjoy your adventure self drive tours in West China, Chengdu can be considered as the best choice to start. From Chengdu, it's easy to drive to Yunnan, Guizhou, Chongqing, Guangxi, Hunan, Qinghai, Gansu, Tibet, Ningxia, Xinjiang, Shaanxi, West Inner Mongolia, etc. No matter driving by your own car or rental car, we can provide professional and intimate service.